Spring is here! I love winter, but I am pretty excited to see the forest outside of my townhouse come alive. The squirrels have already been running wild through the trees and birds are chirping. I have even seen blossoms on one of the trees trying to bloom. And with a new season, comes new trends. 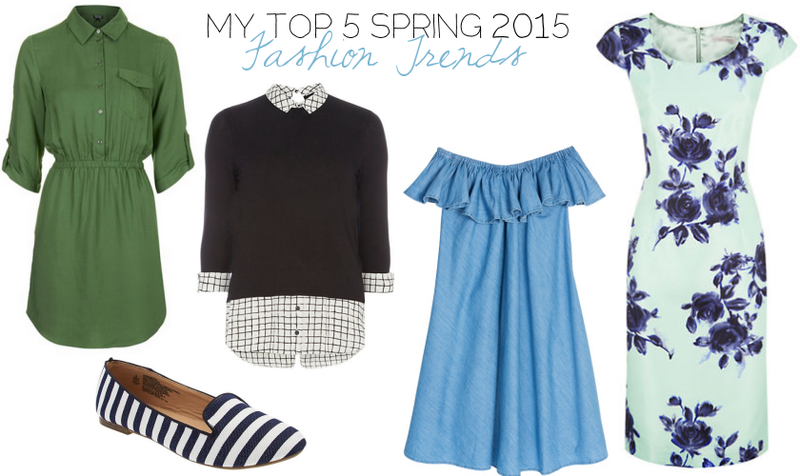 Here are some of my favorites for this spring! I am solo glad they brought the loafers in for spring again. I love them! I was at Old Navy yesterday and almost picked up that EXACT pair!